Mistakes in life can lead to financial disaster, but if you follow this step-by-step financial advice for your 30s, you’ll quickly find yourself back on track. You especially don’t want to overlook #9! 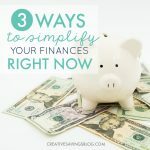 Does managing your money, bank accounts, investments, and/or debt payments ever make you feel overwhelmed? It doesn’t have to! These simple finance tips inspire you to pare down to the absolute basics. 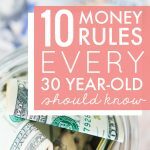 Let’s stop making money so darn complicated! 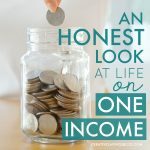 Not sure if you could live on just one income? It’s more doable then you might think! This stay-at-home-mom cut her family’s income by 48%…and she’s THRIVING. You don’t want to miss the secrets to her success! Confused about credit scores? 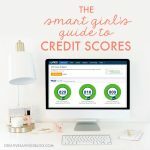 This comprehensive post leads you step-by-step through the world of credit so you can finally separate fact from fiction. More importantly, you’ll discover why credit scores DO matter, despite what some financial experts tell you! What’s the difference between those who earn millions of dollars and the rest of us? 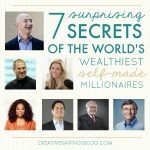 These inspiring individuals reveal the financial and lifestyle secrets that helped them succeed. Although, you might be surprised at their ACTUAL end goal! 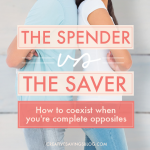 Financial experts like to guilt you into giving up indulgences, but here’s proof you can have your guilty pleasures and still rock a successful budget. 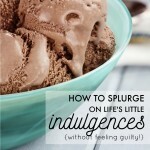 These 3 rules keep my little indulgences from becoming major regrets, and allow me to enjoy everything I love, guilt-free! 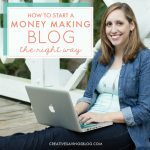 Hundreds of blogs start every day, but only a select few actually make any money with them. So what makes the biggest difference? Don’t miss these three crucially defining elements that literally make or break your blog! 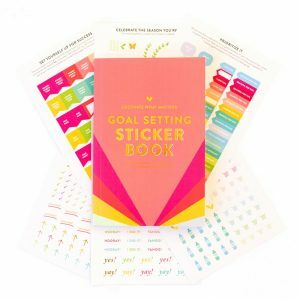 Also includes a step-by-step guide to start your own blog from scratch. Does financial anxiety keep you awake at night? 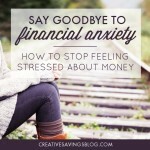 Whether you’re worried about covering an unexpected expense, stressed about paying the monthly bills, or frustrated with an unattractive retirement plan, this in-depth post will ease your worries and help YOU take back control.